Today's crises-prone public debates often lack visions that go beyond the slogans of integration and participation. Which other imaginaries can we envision our society with? And which imaginaries drive creative thinking and individual actions that can meet the crises discourse? Right now positive collective action is reduced to short-lived events only. Social imaginaries that go beyond seem to be used up or abandoned as past futures. Why is that so? Three essays try to answer this question. The first perspective discusses urban kibbutzim emerging from traditional approaches, whose social imagination has been consumed and which were unable to adapt to contemporary economic developments. What happens if we observe those past futures in their current urban context? 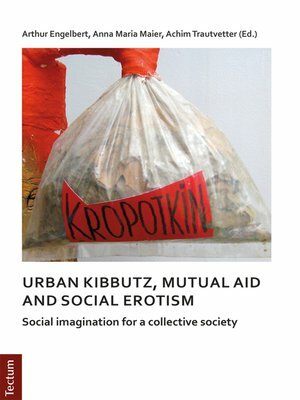 Do they push our social imagination and make us revisit social imaginaries as a collective practice? Secondly, what about the role of artists and art in designing and experimenting on social imaginaries? Do the projects of Jerusalem art group Bait Rek (Empty House) re-introduce concrete utopia when social imaginaries are transformed into collective (art) practice? Or do they abandon the need for a social imaginary into an aesthetic theme park? The third perspective tries to conceptualize the formation of social imaginaries – temporally, collectively, and individually. Memes, Genes, and Codes discusses the achievements of social imagination on the basis of inscribed genetic (genes) and of conditioned cultural information (memes). The concept of eroteme adds a third element to the analogy of genes and memes: Are the erotemes a way to reclaim freedom by negotiating genetical and cultural predetermination framed as pre-fixed genes and memes?